My father bought me this for my birthday. It’s a pretty, hardbound that’s only slightly larger than a paperback. And it’s Camus. These are from his earliest published journals. Many years ago, my stepmother gave me a cope of his journals from 1942-1951. It was a wonderful present and very thoughtful. Don’t mean to sound rude, but I was very surprised. She neither liked nor understood me at all (the feeling was more or less mutual and she was not a bad person, just not my type). Nietzsche. Condemns the Reformation which saves Christianity from the principles of life and love that Cesarean Borgia was infusing into it. The Borgia Pope was finally justifying Christianity. What an amazing statement! So forthrightly counterintuitive! 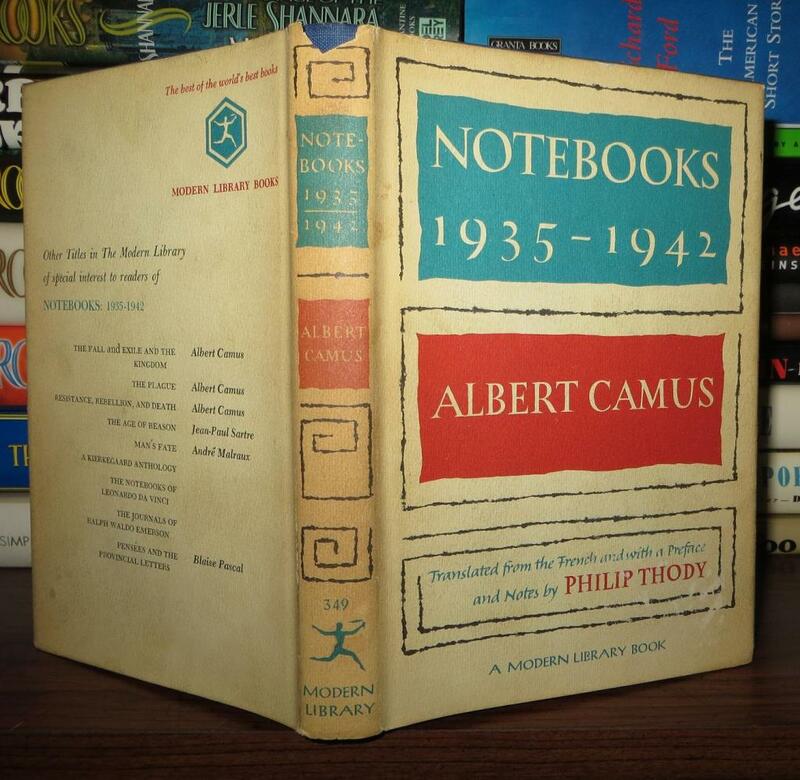 Camus tried hard to eliminate personal history from these journals. They are intellectual documents, not autobiography. A reference here that hints at the quantity and quality of Camus’ envy-inducing sexual conquests. Some references to where Camus was standing when a thought occurred to him (in Greece, in Oran, in Paris, etc.). But little else personal. Well, actually, a lot personal. The first two thirds take place while writing L’etranger and Le mythe de Sisyphe. The former appears in fragments, as Camus tests out passages and ideas, some of which would later make their way into that novel. The appearances of the latter take the form of numerous questions about suicide. Unlike that book of (admittedly, not very rigorous) philosophy, his journals suggest that committing suicide did cross mind. Not as an intellectual exercise, but an escape. When the war appears, that becomes a constant, as you might imagine. But in a strange way. Camus the diarist seems shocked and surprised by the war. He makes some comments about Germany and German racism, but seems unable to really get his head around it. The failure that was the war, I felt, was, to Camus, a French failure. When he takes and fails to pass a physical (because of his tuberculosis), I was reminded that though he was unsuited for combat, he joined the resistance as the editor of Combat, an underground newspaper of the resistance. Of course, when these journals end, France is occupied and Camus is living in Paris. From the journals, you would barely know the latter and the former not at all! By the way, my father found this at Back in the Day Books in Dunedin, Florida. Haven’t been there personally, but seems like a quality place. Their facebook page always highlights good stuff in stock.